Paddy Power recently changed its software provider from Wager Works to the now ubiquitous Playtech platform. 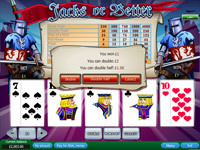 There is now a download casino (as well as a instant browser version). 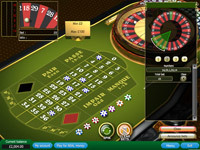 The Playtech software brings with it a wider range of games particularly with rarer low edge tables games like French roulette but the slots do not have the same charm and fun of the previous casino. Thankfully many of the popuplar Wager Works slots like Monopoly and Cludeo can still be found in their games section. Paddy Power offers a £5 bonus just for opening an account (no deposit required), the bonus is subject to £250 of wagers before you can withdraw it. Paddy Power are one of the only casinos to offer a risk free bonus. Paddy Power also offers a £100 cash match bonus for 1st time depositors. This bonus is subject to 64x wagering requirements (worded as 32x bonus + deposit). When you open an account with Paddy Power you can use it for all their other gambling sites such as bookmaking. Withdrawals are prompt, usually taking around 3 days in our experience. Paddy Power casino customer support is open 7 days a week 24 hours a day. All emails are replied to within 2 hours.